We just arrived at this lovely cabin in the Grand Tetons. I am a different person than I was when we left 3 weeks ago from our Hollywood apartment. It’s a weird thought that maybe I haven’t been in tune with myself for a while. It’s scary to crack yourself open. It’s easier to be who people assume you to be than yourself sometimes. Why is it easier to worry of the future than to live in the present? We are sitting at Snake River Overlook moments before the sun will hit the highest Teton peak. The range and clouds have a violet hue at the top. 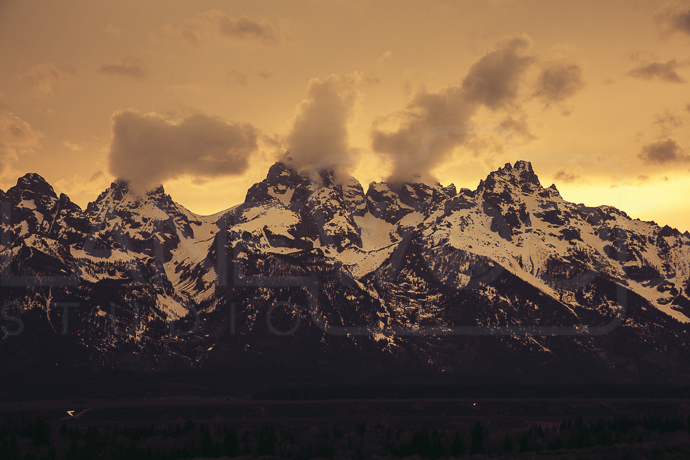 The word for the Tetons is “Spectacular”. We arrived here yesterday and will move on today, but I feel satisfied with what we’ve been able to see. Here in the Grand Tetons, we’ve already seen elk, deer, a few bison, and one moose. 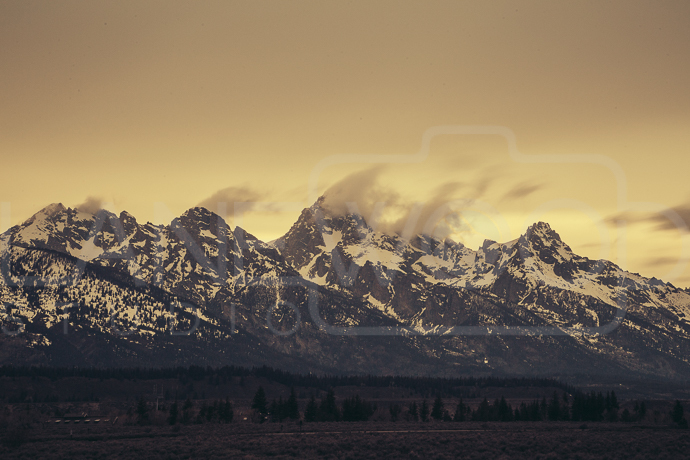 The real show is definitely the jagged peaks of the Teton Range. When you first see the range from miles away, there’s no doubt they are Grand. We only spent a small amount of time in the Grand Tetons and it just so happened to rain. We drove around the park setting up my shots for the following early morning shoot. It’s early May and the park has only just opened, so there were few people, which was nice. We met a nice group at the local bar and grill from Memphis, TN. (I keep finding Tennesseans on this trip!) They were so interested in our story and what we were doing. It gives me strength and feels good to hear encouragement. We try to not think about the past and future so we can live in the present, but sometimes we’re too tried to catch our wandering minds. When this happens, Emily and I start volleying questions back and forth. Could we keep traveling for years? Will this trip profit our company? Are my photographs professional enough to support us? Doubt can continue until something snaps us back. 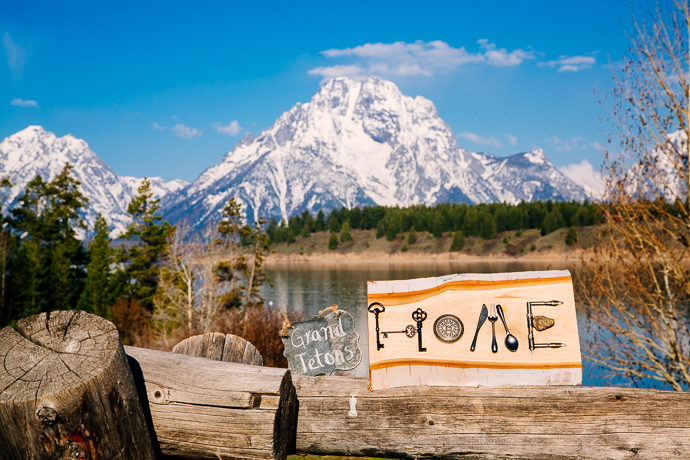 This morning as dark clouds moved over the snow covered jagged peaks of the Grand Tetons towering before us, we were quiet as those thoughts faded away. The Tetons are beautiful. We could only choose one of our spots for the sunrise. Snake River Overlook won. 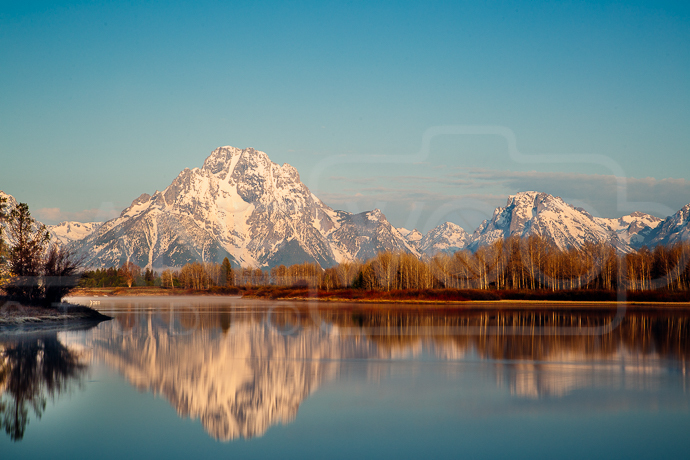 This was the same spot Ansel Adams photographed the Tetons for the National Park Service in the 1940’s. 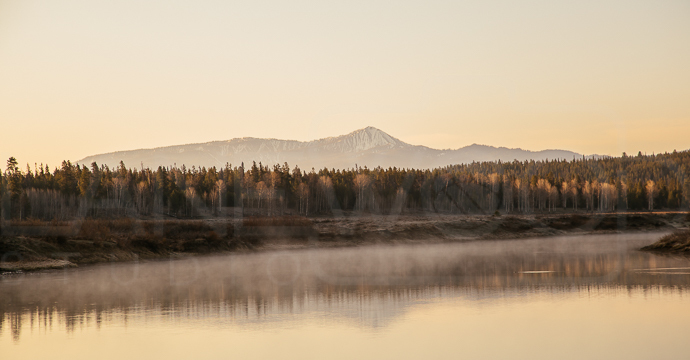 As we go to each park, I’m finding where he shot, and I enjoy shooting the same landscapes he did over 70 years ago. The way the clouds rolled over the peaks really impressed me. It was difficult shooting out of the car in some places with the rain was coming in sideways, but we figured it out. I’m glad Emily is there to push me to work with the rain.